Obviously we think booking a luxury self catered chalet is the best way to go, but as with anything, there is always room for improvement. One of the major bug bears of self catering is that moment of arrival after a long journey, gasping for a cuppa and finding the cupboards bare. So we’ve been working on what our customers would appreciate most on arrival, and have come up with the Elevation Welcome Pack. The pack ensures you can relax with a proper brew or a glass of wine and a snack while you get settled in. The pack includes a bottle of quality red and white wine handpicked from our Wine Delivery Menu. You will also find Yorkshire teabags, fresh milk, coffee, fresh bread, butter, jam and a big bag of crisps in the pack so if you arrive starving you don’t have immediately go to the supermarket. We also ensure those basics that you kind of always assume will be in the cupboard are there, like cooking oil, salt, pepper and cleaning products. Our complimentary toiletries are are BeeKind by Gilchrest and Soames. You will find a small bottle of shampoo, conditioner, body lotion and shower gel for each guest. BeeKind offer a sophisticated approach to nature-inspired care, these naturally derived, healthful products help to support the honeybee and sustainable pollination research. A portion of the profits from BeeKind products are used to help support the Harry H. Laidlaw Jr. Honey Bee Research Facility at the University of California, Davis. The young, chic and sensual fragrance is alive with the sparkling freshness of juicy limes, California lemons and crisp green apples, all intermingled with notes of cool verbena. With honey and certified organic extracts of red clover, calendula, lemongrass and chamomile, this high-performance collection is as soothing as it is stylish. All our chalets and apartments now come with this service at no extra cost. 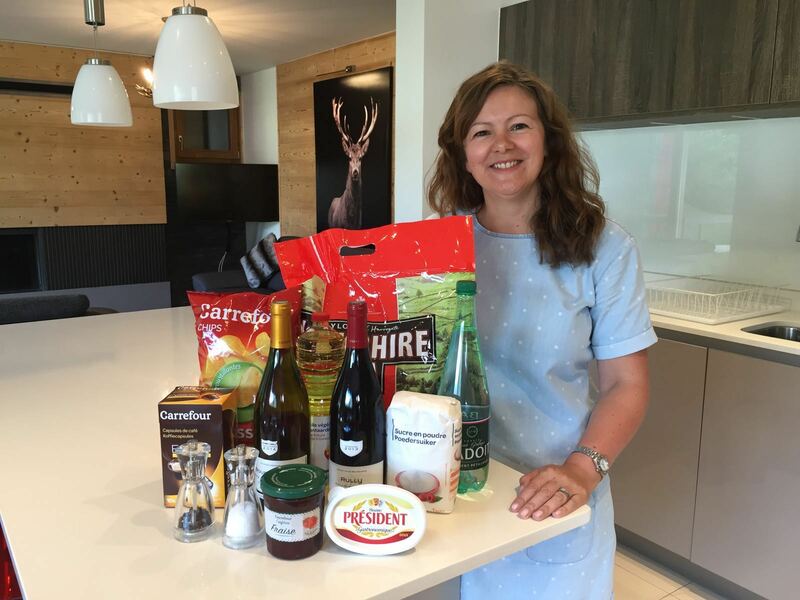 It is one of the ways our concierge services makes our luxury self catered chalets in Morzine really luxury.